Last year was a pretty strong year for films, and the Academy could have easily rounded the Best Picture nominations to an even ten — whether it’s Moonrise Kingdom, The Master or otherwise. Sticking with “just” nine is a bit of a head-scratcher, and many of these other snubs are glaring as well. I must say I am happier with this year’s nominations compared to those from 2011, but there’s still plenty to complain about as always. This Week’s Poll: Last week I posted my top 10 films from 2012. Since I already highlighted my best of the year, I would like to hear *your* thoughts. What is your personal favorite from my top 10 list? In order to further diversify the results, I am allowing two votes. Looper was pretty good, and I just finally saw Cloud Atlas, it was really good although I have a particular issue with it. I am also reading the book, which is really good so far. I liked Cloud Atlas well enough, but it definitely had its share of flaws. I’m surprised it didn’t get recognition for its makeup or visual effects, though. Oslo, Take This Waltz and Killer Joe I added to my 2011 list(going by IMDb year), but realize most didn’t see until 2012(myself included). For the poll, I went with The Master and The Imposter. zero, Zimmer’s score was worth a nom. Yeah, I wasn’t expecting a Best Picture nod or anything for TDKR, but Best Original Score seemed like a lock. Too bad. Both The Master and Moonrise Kingdom were snubbed for Best Picture. That’s an unfortunate rule. Kind of boggles my mind that something like last year’s Extremely Loud and Incredibly Close managed to make it onto so many ballots then! Agreed about Affleck. At least he got some recognition at the Golden Globes, I suppose. I was surprised that both Looper and Cloud Atlas didn’t get nom’d for Best Makeup…and that Cloud Atlas didn’t get any visual or musical nods. but, yes, I was most upset that Moonrise Kingdom was snubbed. Yeah, some strange omissions all around. 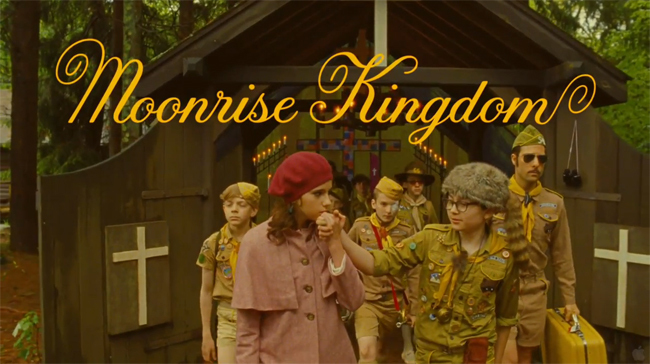 Hard to believe Moonrise Kingdom only got one nomination, too. Thought Looper was one of the most original films of last year. Such a shame that originality can’t at least be recognised with a nom. Voted on TDKR and Argo this time around. Two of my faves of last year. Yeah, I was surprised Looper didn’t get any nominations at all. It felt like one of last year’s freshest films.